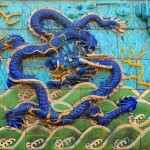 Beijing is among the largest city in the world and one of the consequences of the quick growth of the past decades is that it is as well one of the leading cities in domestic waste: every day, Beijing city dwellers produce 20.000 tons of domestic waste and managing this is a challenge for the local authorities. 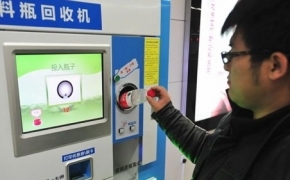 Since 2012, a Chinese society developed an original idea in Beijing’s subway: ticket machines where you can pay with emplty plastic bottles. More machines are being installed and the company is thinking about doing the same with metal cans. You need to have 20 plastic bottles to get your ticket, which is quite a lot. The machine compresses the bottles when you put them inside, and has a capacity of 400 bottles (which means it can sell 20 tickets, it seems a bit modest compared with the numbers of people using the Beijing subway everyday). 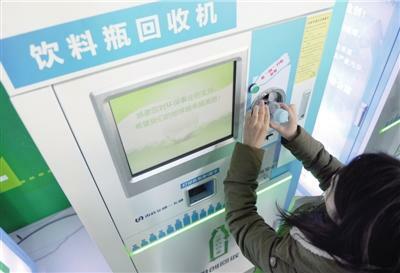 The Chinese company, INCOM, has planned to install 3.000 of these machines all over Beijing. This shows that ecological behaviour is a reality in China, whatever some people think, but the challenge to have a green Beijing is huge. So far, the machines can only be seen on Beijing subway line 10. Of course, Beijing is not only about building super high towers, but do you believe in Beijing as a green city?